Is it not freedom ? Navegating with a catalan sailing cat, a special catamaran with a rudder along the seaside of Espalmador, that´s what we call freedom. Sailing in this vessel in absolute silence ploughing through the turquoise water of Ibiza and Formentera gives you this impressive feeling, it is very recommended for sailing-lovers. 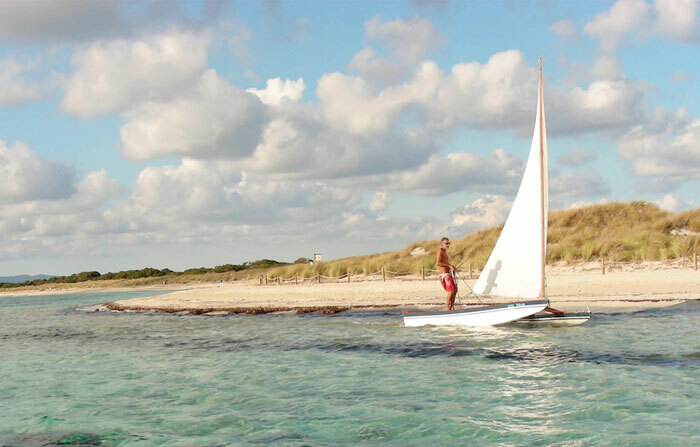 The elements and you, Formentera and your boat, try it on your own. Sail with us, Barracuda Ibiza Charter.